Seasoned Steel 10 inch Skillet and Handle Holder As a natural compliment to cast iron, Lodge crafted the Seasoned Steel line with its core customers in mind. Seasoned Steel 10 inch Skillet and Handle Holder is rated 4.3 out of 5 by 8. Rated 5 out of 5 by Hearthlight from Lodge carbon steel skillets are pre-seasoned with soybean oil. 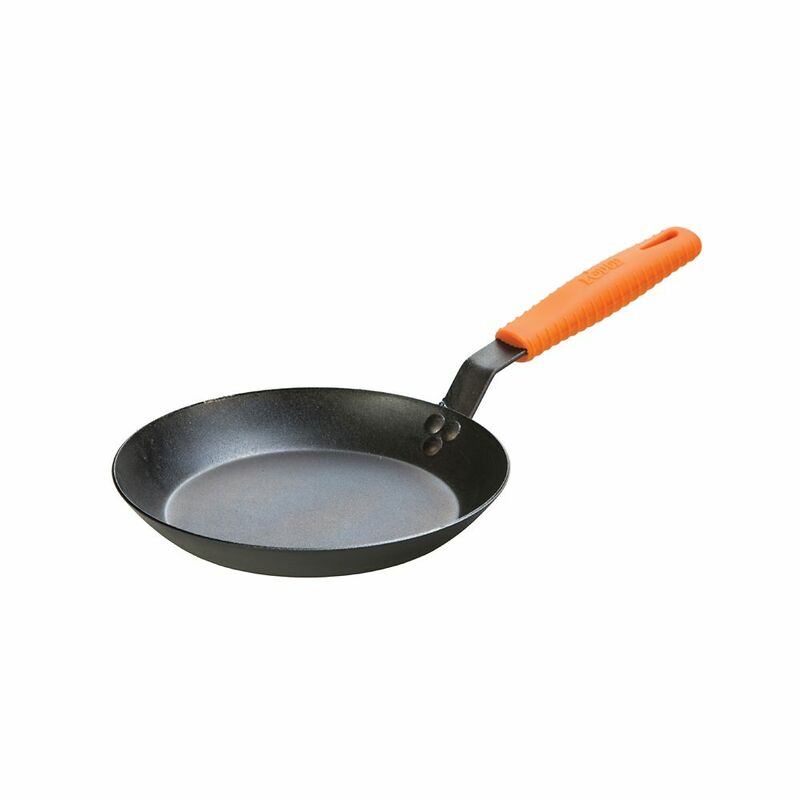 Easy to keep clean and virtually n... Lodge carbon steel skillets are pre-seasoned with soybean oil. Easy to keep clean and virtually non-stick if you treat them well. I was surprised when I received this skillet that the flat surface was small. That's because of the slanted sides (the 10" measurement is across the top, not the flat part of the skillet). Still, does an excellent job with a couple eggs, half to three quarters of a pound of veggies, etc. A great little skillet that should last a very long time.